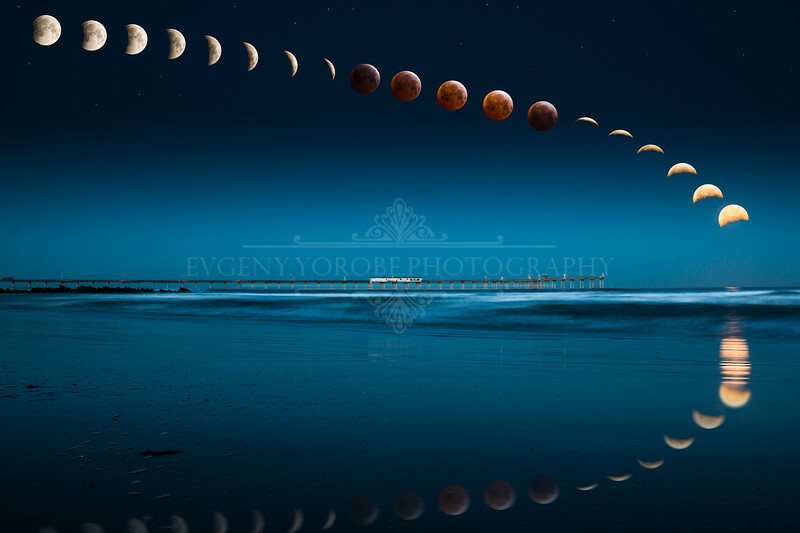 Timelapse composite of the April 2015 Blood Moon Lunar Eclipse. Everything shot from the same spot at Dog Beach in San Diego from 3am-7am, with the final frame being shot at a wider angle at low tide for reflections. Gradient added to the sky to portray the changing light from night to dawn during the eclipse.